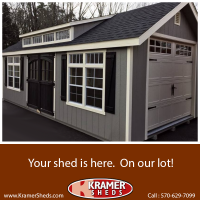 It’s officially spring and the perfect time to get your storage shed. 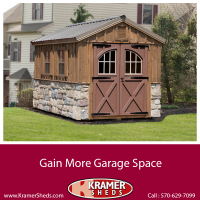 Regain control back of your garage! 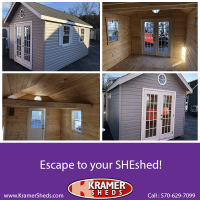 Call 570-629-7099 to find out more about ordering your shed. 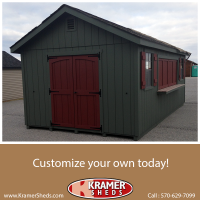 Customize your shed, your way, today! 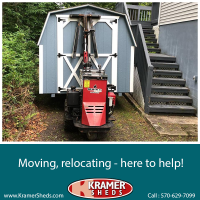 Moving or want to relocate your shed? 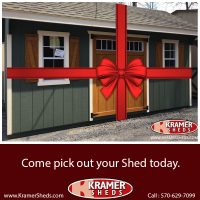 Pick out your shed today! 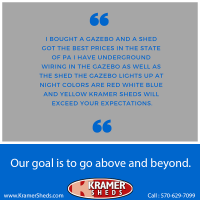 Have you been on the fence about whether or not to get a shed? 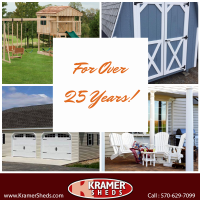 Here at Kramer Sheds we have a large display lot of sheds on hand. 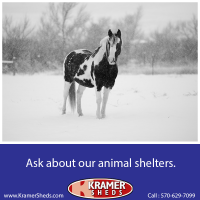 Swing by our lot and feel free to walk around and even inside our sheds. 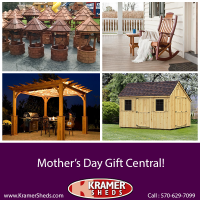 If you have any questions just stop in the office.